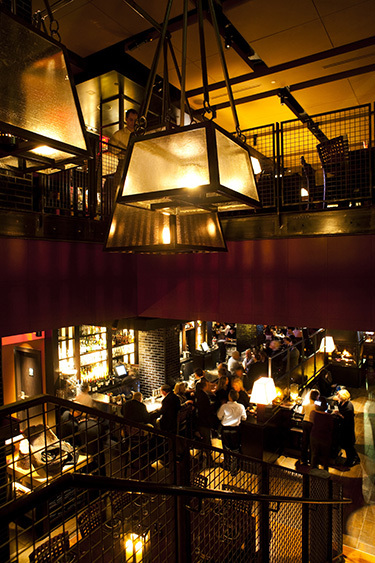 Post 390 is an urban tavern and dining room offering seasonally-inspired fare, creative cocktails, and an expansive craft beer list. Diverse menus celebrate the bounty of New England and highlight quality products and ingredients from the region's top farmers, fishermen, foragers and specialty food producers. Executive Chef Nick Deutmeyer puts a contemporary twist on the traditional tavern experience with a menu offering refined, yet approachable, seasonal dishes reflective of his passion for quality products. A special part of Post 390 is the restaurant's "Farm to Post" tasting series, which features a monthly spotlight on some of New England's finest farms and fishermen and focuses on ingredients that are sourced locally. The "Farm to Post" menus are prix-fixe and served in addition to the restaurant's regular lunch and dinner menus, allowing the Chef and his team to flex their creative muscles. The menu often changes throughout the month, and is available with wine pairings. On the first floor is the Tavern, a popular gathering spot for residents and visitors alike, with a casual but sophisticated menu and atmosphere, a 25-seat bar and high top and banquette seating area is warmed by a beautiful four-sided fireplace. The menu features seasonal bites, tavern classics, raw bar offerings, as well as a selection of charcuterie and cheeses. A massive wrought iron staircase connects the energy of the first floor with the Dining Room on the second floor. Here, guests can dine on a full menu for lunch, brunch and dinner. Lunch options include a variety of starters and shareable plates, in addition to sandwiches and full entrees. Packaged desserts "to-go" offer convenience to hundreds of guests that visit Post 390 regularly for a business lunch. The dining room features a large, open kitchen, wine displays, two private dining rooms, additional fireside dining and floor-to-ceiling views of landmarks like Copley Place, Trinity Church and the Hancock Tower. Post 390 features a selection of nuanced, seasonal craft cocktails that showcase fresh ingredients and exciting flavor combinations. Inspired by New England's growing craft beer industry, the beer list, includes selections from classic, vintage and independent producers as well as 12 beers on tap. For wine lovers, the restaurant's carefully curated wine list features over 200 old and new world varietals, with a focus on classic American wines.